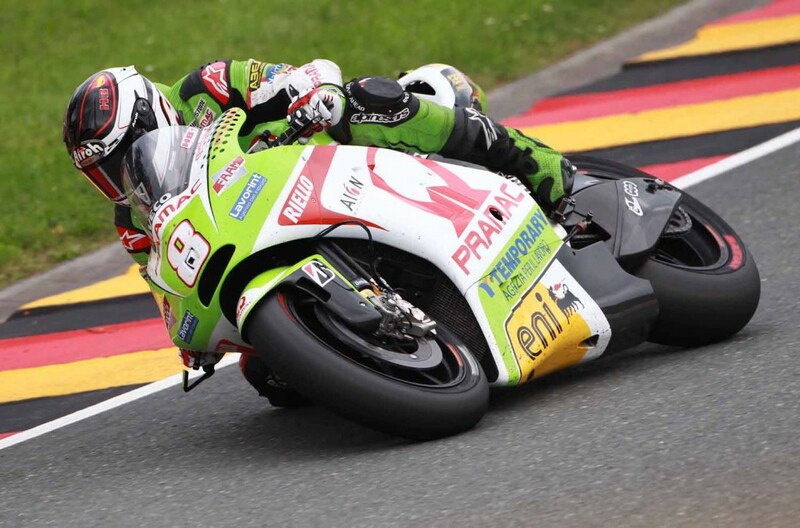 Pramac Ducati rider Hèctor Barberà collected valuable points after an exciting battle throughout todays eni Motorrad Grand Prix Deutschland race at the Sachsenring circuit. Starting from 10th place, Hèctor lost ground at the start but retook positions on the first lap, showing phenomenal early confidence with his Ducati Desmosedici. Barberà was locked in a captivating five-rider battle for sixth that included both Ducati Factory riders Hayden and Rossi, as well as Honda riders Bautista and Bradl. The 25-year-old rider rode with typical aggression, producing a fantastic ride under intense pressure to keep the group at bay. But with five contestants, all ready to fight to achieve the best result possible, Hèctor had to settle for ninth to finish just one second off from Valentino Rossis sixth place. The result ensured the Spaniard gave himself big confidence ahead of the Pramac Racing Team’s home race at Mugello next weekend. Im really happy. It was the best and the most enjoyable race of this 2012 campaign. I fought with the Ducati Factory riders and I finished the race between Valentino and Nicky. But the most important point was that I had a great race pace and the gap from the top three MotoGP riders wasnt too large. A great race, fighting both with the Ducati Factory and with the Japanese machines. During the practice sessions we were not able to find the best setup possible to ride in the dry, due to the tricky weather conditions, but the Pramac Racing crew were able to find the right way. Now we need to continue on this road with another positive result at Mugello, next week.